Three days. Six updates. On the evening of 6 August, G.O blessed his Instagram account (and us) with yet another update. I can only surmise that since he has most likely been free from work and military duty, he took advantage of being able to communicate with us full tilt. I don’t know about any of you, but he certainly made my otherwise mundane weekend one of the more exciting and memorable ones of 2017. My goodness, the man is positively glowing. I think my favorite part of these most recent updates is seeing G.O happy and so very healthy. Coupled with that we have been reminded of his wonderful playfulness and warm nostalgic heart. He is making my job here easy by filling the countdown with so an avalanche of treasures! 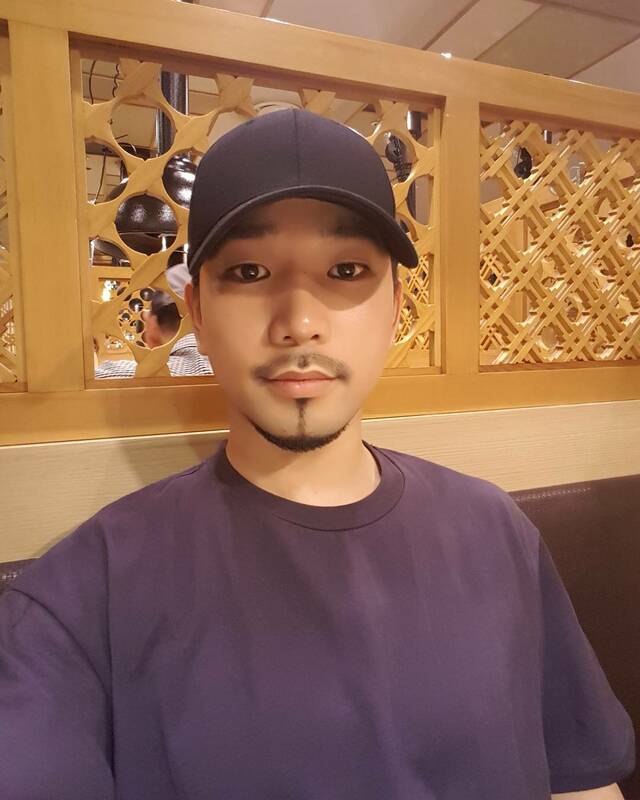 In his caption accompanying this latest update G.O says, ‘Ugh, I saw a smile.’ Yes, yes, YES ~ there is a hint of a smile. The best part of G.O’s smile is hidden deep in his eyes. I am a broken record about his expressive eyes. I know! But, G.O’s eyes do not lie. It is my belief that when a smile reaches the eyes, there is true mirth and happiness going on within. I would be remiss however, if I did not comment on his lips. His eyes are what captured my immediate attention first, but I am not going to deny that his luscious lips look next to perfect when coaxed by the hint of a soft smile. Categories: G.O Military Discharge, MBLAQ Musings, The G.O Files | Tags: G.O, G.O images, G.O Instagram, G.O Selca, G.O's Military Discharge, G.O's Military Service, G.O's Selca Magic, 정병희, 지오, Jung Byung Hee, Jung Byung Hee images, MBLAQ G.O, MBLAQ G.O images, MBLAQ G.O Instagram, MBLAQ G.O selca, MBLAQ G.O's Selca Magic | Permalink.